Jack started playing the bass in the 1950s. His interest and expertise grew and he began to source interesting and unique instruments. Thwaites, which held his growing collection, opened its doors in the 1960s and has continued to flourish under his guidance. 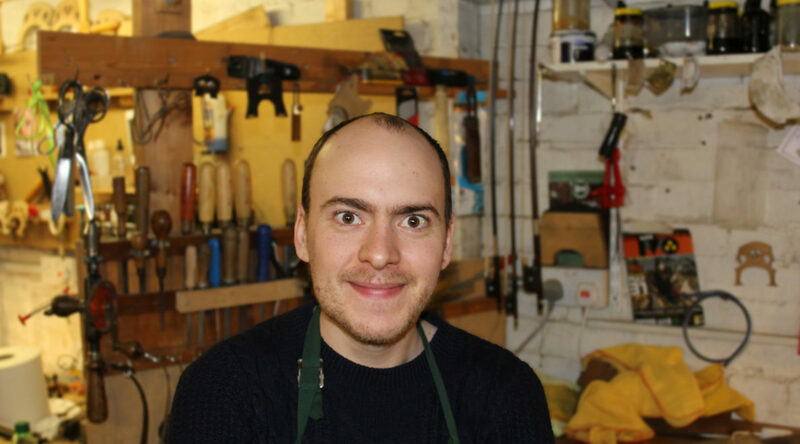 Today Jack works in the workshop and acts as a consultant. He is a passionate jazz connoisseur and musician. Bill studied music at the London College of Music specialising in percussion and double bass. He went on to become a professional musician and teacher. Bill joined the family business in the 1980s. He is passionate about music and musical instruments and has an outstanding breadth of knowledge and expertise. He continues to play and teach at professional level. Caroline studied bow restoration in the Hill tradition upon leaving school. She joined the family business in the 1970s, where she has perfected her craft. She takes great pride in her work both on professional bows and student models. Caroline studied cello and sings in the church choir. Sam has played the violin since the age of four. He went on to study music at the University of Nottingham, where he also conducted many of the university ensembles. He regularly plays violin and viola in solo, chamber, and orchestral music, and has even played for Her Majesty the Queen and the Duke of Edinburgh. 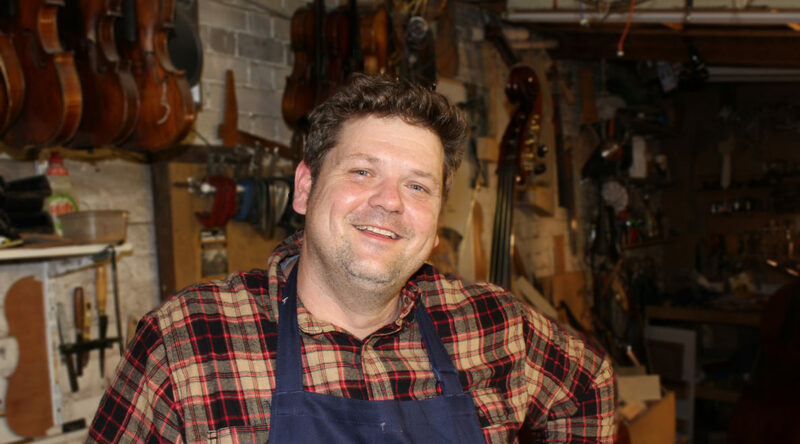 Sam has been working in string instrument dealers since 2013, and has developed expertise in fine instruments and bows alike. He manages the shop day to day and will give you plenty of time and well informed advice. 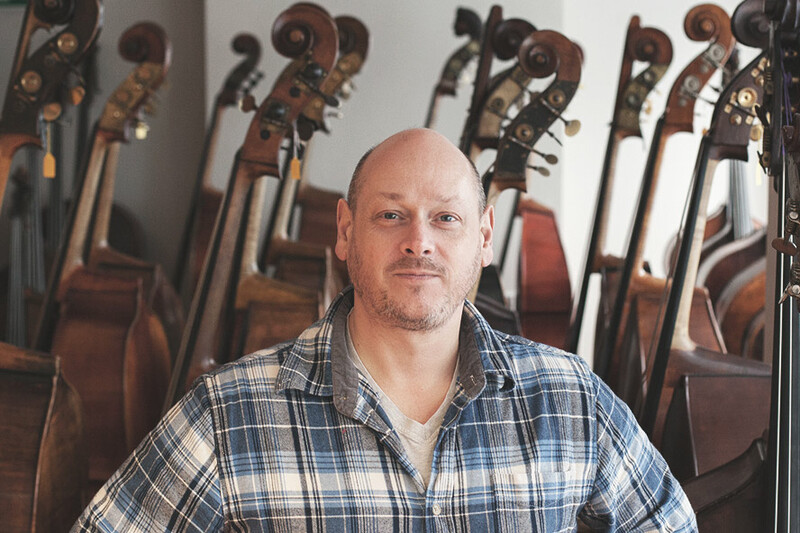 Chris studied at Merton College, and accrued many years experience repairing brass and woodwind instruments before he specialised in the string instrument family. He has developed and perfected his craft and expertise at Thwaites, and has been with us for over 20 years. Chris is also a multi instrumentalist. He plays violin, trumpet, flute and guitar, and regularly performs with local bands and at local sessions. 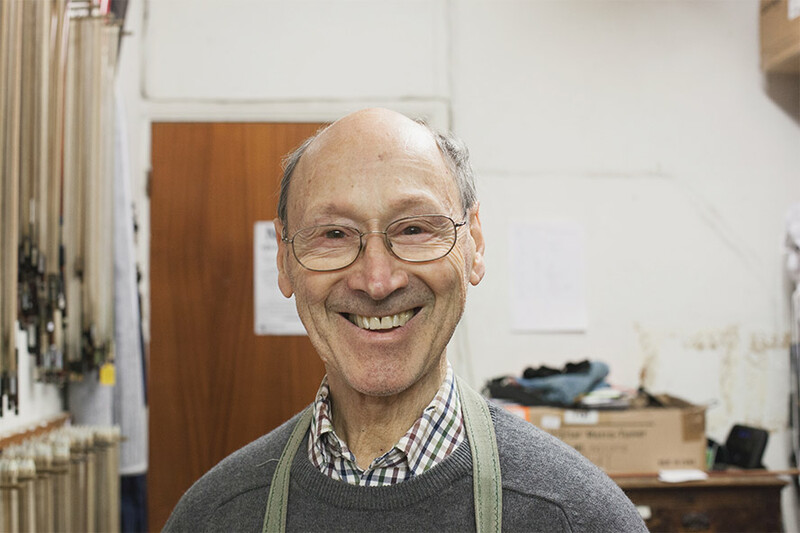 Richard studied violin making and restoration at Merton College. He plays many instruments including violin, banjo, bass and guitar, and is an accomplished audio engineer. He makes violins and guitars in his spare time. 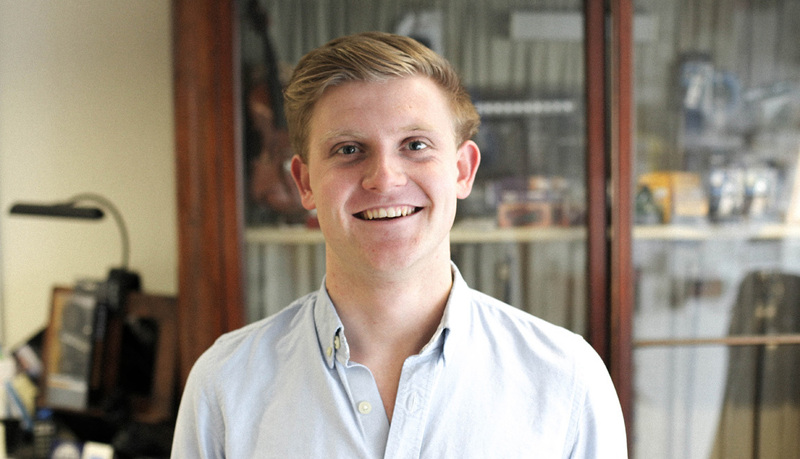 Richard joined Thwaites in 2013 during his final year at Merton College, having previously been employed in the busy workshop of a London music shop. 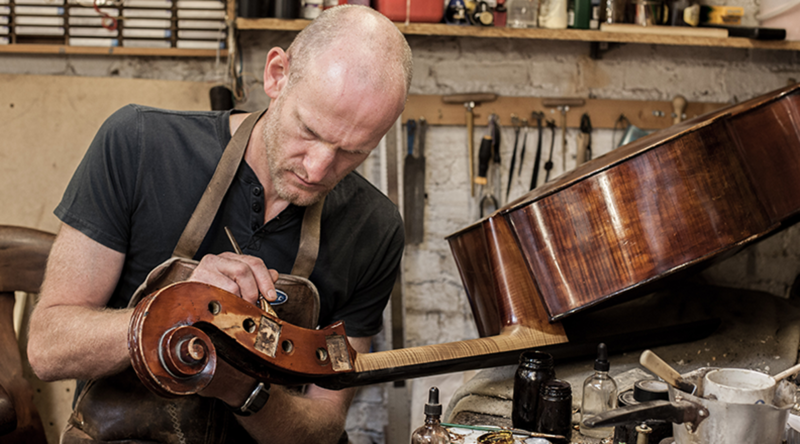 Lance studied violin making and restoration at Merton College. He gained his interest in instrument making and repairs from his mother, who made harpsichords. Lance joined Thwaites in 2016, and is originally from Colorado in the United States. He started playing the violin at the age of six and was a member of the Denver Youth Orchestra. He still plays the violin and also plays the mandolin. Amy studied Drama at Manchester Metropolitan University and has been part of the amateur dramatic scene since she was eight. Amy has also played the flute since she was eight, and continues to play for local productions. 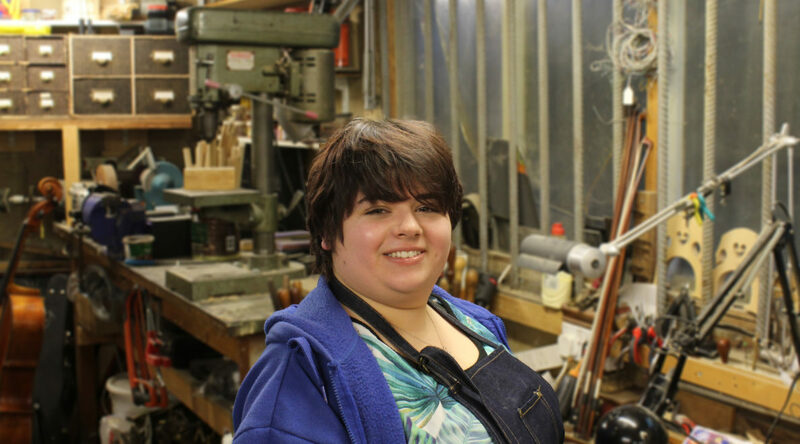 Amy completed a bow restoration course and joined the family business in 2016, following in the footsteps of her mother. 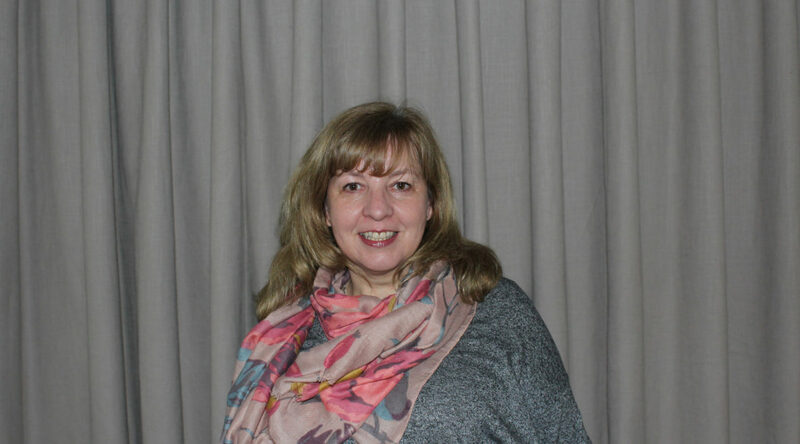 Kathy studied at Kingston University before beginning work in financial services. 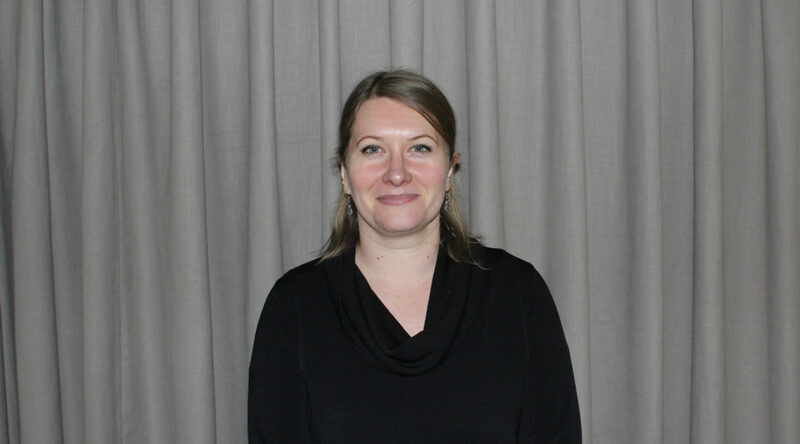 She has worked for many prestigious companies in London before joining us in 2012 to assist us with our finance department and to manage our 950 student hire customers. She grew up playing the clarinet and piano and enjoys classical music. Kathy is the person to speak to regarding anything to do with invoices, accounts and student hires. Helen started learning the double bass at the age of sixteen and played in the Watford School of Music and Hertfordshire County Youth Orchestras. Helen still plays regularly with local orchestras and chamber ensembles and is more recently enjoying looking at the solo bass repertoire by taking part in bass courses and workshops.